Looking to take off of Phuket to a little island? Raya Island is stunningly beautiful, white sandy beach, sea green/blue waters and colourful fish. Just 12 Kilometres south of Phuket in the Andaman sea, the Raya Island is best known for excellent jumping, diving and snorkeling daytrip destinations. To make your trip more exciting, from Phuket to Raya Island, take a speedboat. 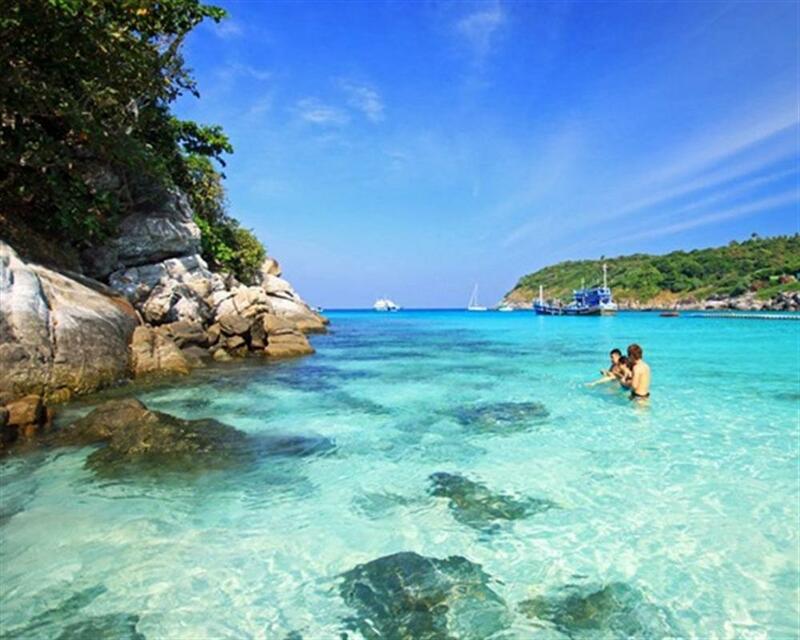 SNORKELING: One of Phuket’s top secrets is the wonderful snorkeling at Raya Island. The beautiful layout of the Island offers top-class places to snorkel regardless of what time of year you visit. Even on the normal days when there are such large waves, there will be a sheltered cove to snorkel in. Water clarity and visibility is something one of the best in Phuket. The water has either a blue or green color and has a lot of marine life. Most snorkeling is done from speedboats or from the shore in Batok Bay and Raya Bay. SNUBA: Raya Island’s narrow depths and a ridge of rock in the sea make it an ideal location for SNUBA. SNUBA combines the ease of snorkeling with the excitement of diving. SNUBA is a popular activity among couples, families, and small groups of friends who are looking to combine a day trip of snorkeling with some more adventurous and exciting. SWIMMING: The waters around Racha Yai and Raya Noi are perfectly clear and blue/green in color. Swimming in the bays and near the beaches is a great way to spend the day. SCUBA DIVING: Raya Island is undoubtedly Phuket’s best scuba diving spot, with its sloping rocky reefs and its plenitude of solid coral forests. RELAXING: Raya Island is one of the most pleasant islands to simply get relax. Fewer tourists and lesser boats making it a best place to visit. Jet Skis and Para sailing are officially banned on the Island.